I’ll bet every mountain climber who ever summited Everest squinted at the top of the mountain from their basecamp, felt a wave of excitement mixed with terror and wondered: what the hell was I thinking? That’s how it feels as I look at the crowdfunding strategy for Inflection Point: what did we get ourselves into? In fact, I think that’s exactly what Lauren Schiller, the creator and host of Inflection Point, said right after my strategy presentation. At this point in a crowdfunding campaign it’s normal to feel overwhelmed by all the work to be done. It’s perfectly understandable to feel doubtful that you can accomplish it all by yourself. But with the right strategy, do you know what you won’t feel? A crowdfunding strategy is a roadmap. It gives you a step-by-step plan of action, guiding you ever closer to your ultimate destination: a successfully funded campaign that will propel you toward bringing your creation into the world. And like a roadmap, if you omit important details from your crowdfunding strategy, there’s a very good chance you’ll end up making a wrong turn. That’s why, before you begin creating a crowdfunding strategy — or any kind of campaign launch — you need to address some fundamental questions. Once you provide the answers, you’ll have a clear — and slightly intimidating — picture of everything you’ll need to accomplish to launch a successful campaign. Identifying your “whys” centers your focus on your mission, your values and what you want to change about the world or your industry. It gives you the pillar around which you can make important decisions about who you want to reach, how you’ll communicate your ideas and what you will be investing your time and money in. For example, the team behind The Inflection Point podcast believes that the more stories the world hears about women changing the status quo, the more women rise up.” Why? “because when women rise up, we all rise up together.” Our values of storytelling, empowerment, inclusion, community, and compassion will be reflected in everything we do from the way we interact with our listeners to what rewards we’ll offer our backers. 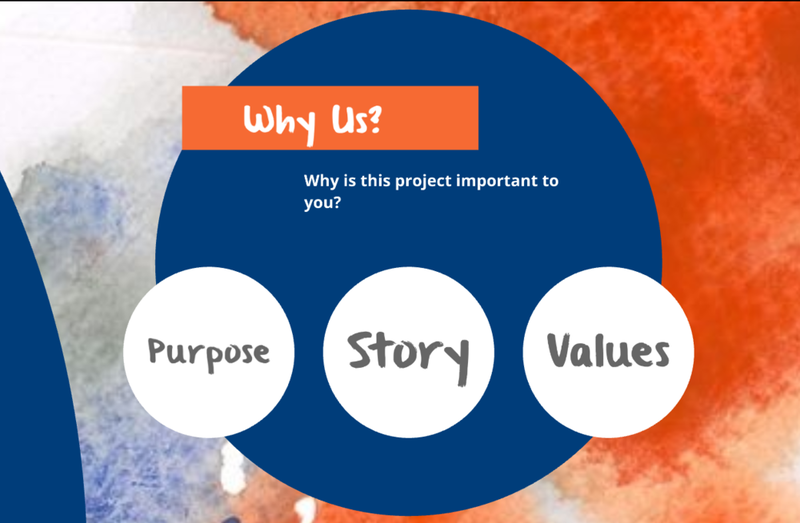 But your why doesn’t stop at your reasons for creating your project. Your why also helps you focus on the reason you’re crowdfunding and what you’ll accomplish with the funds once you’ve reached your goal. Why are we the people to bring our project into the world? Why are we seeking to change/improve the conventional way of doing things? 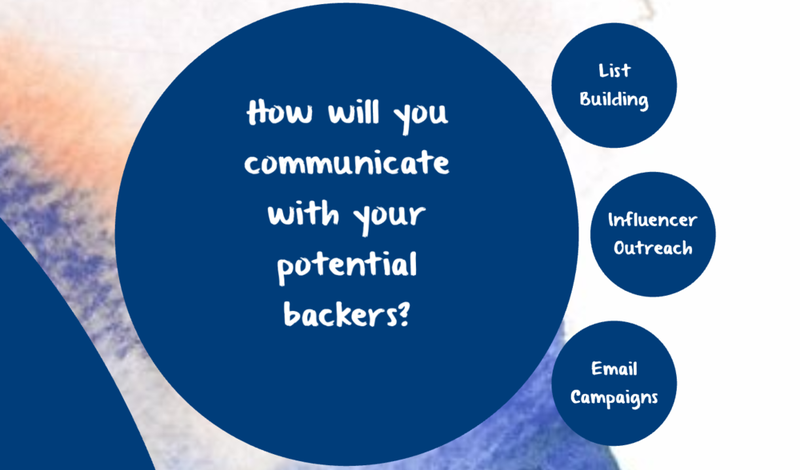 Answering these questions will not only help you come up with a funding goal, it will also help you to communicate to your potential backers how much you’ve accomplished thus far and what their funds will help you to do. Once you’ve established the reason for your project and the values you’ll bring to it, it’s time to focus on the concrete things you’ll do to make it happen. “What” is a question that demands details. 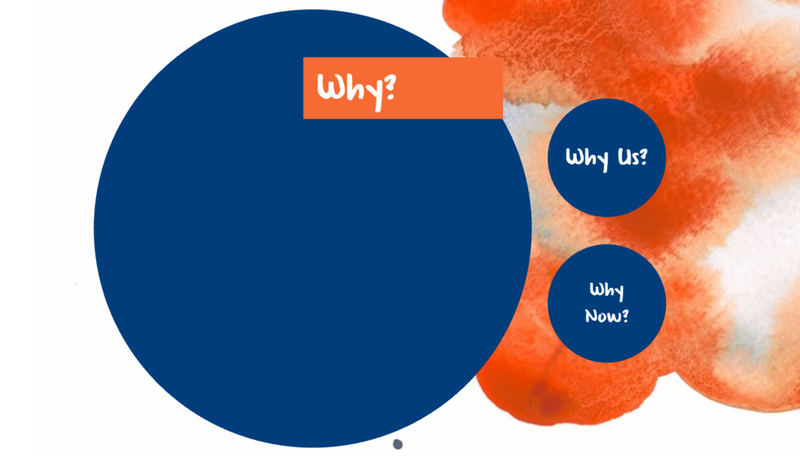 If “why” is about your story and your goals, “what” brings them into realistic, actionable terms. It demands that you make decisions and set measurable goals. When Lauren and I were determining our what’s for Inflection Point, the whole nature of the project shifted from “good idea” to “thing we’re really going to make happen.” We needed to evaluate exactly what resources we had at our disposal (tens of thousands of monthly listeners, PRX as a presenting organization, over one hundred previous guests who are in leadership/influential roles…) and what resources we didn’t have yet (tens of thousands of operational dollars, a large team, content beyond the podcast, a highly engaged email list…) . What are the pros and cons of Kickstarter & Indiegogo? What are some other crowdfunding platforms out there? What is our funding goal? What will our estimated expenses be to launch this campaign? What amount of money will help us bring our project to life? What assets do we already have to work with? 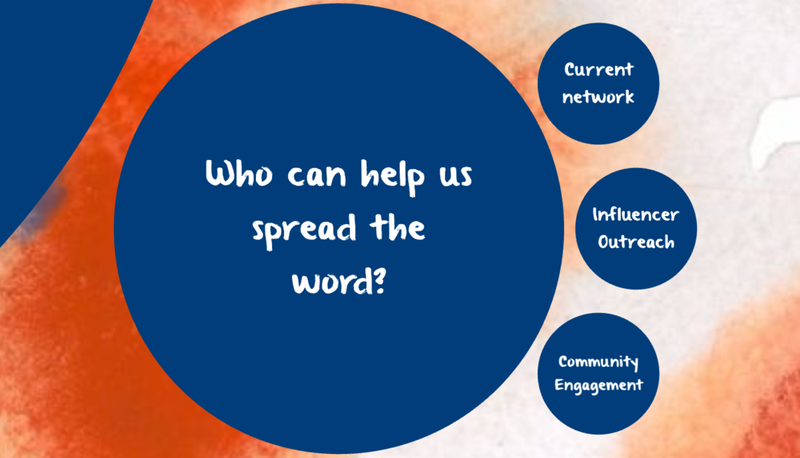 What existing content do we have that we can repurpose for our crowdfunding campaign? What talents/skills/resources/tools do we have? What communities are we already involved with? What financial assets do we have for hiring help or investing in marketing? What assets are we lacking? Now that you know your job to be done, it’s time to discover who will be the best people to help you accomplish it. By focusing on the people involved — and acknowledging the humanity of the people you’re connecting with — you can bring a sense of responsibility, empathy and respect to your messaging. Before I joined the Inflection Point team, Lauren had a vague idea of who her listeners were. She knew that she got great reviews in iTunes and a few podcasting blogs, but she really didn’t know who the people were behind the reviews. I convinced her to work with PRX to create a listener survey to gain more insights into the worlds of her listeners. Not only did the information we got back help us better position and target the crowdfunding campaign, but it also helped us focus on what mattered to her listeners so we could plan an exciting new season and offer a new Facebook group. Who will be the strategist? Who will write the sales copy and video script? Who will design our campaign page and any other visual assets? Who will be our videographer? Who will photograph our products? Who will implement our email sequences and analytics? Who is our ideal customer/backer/audience? Note: Discovering your ideal customer is a process unto itself. 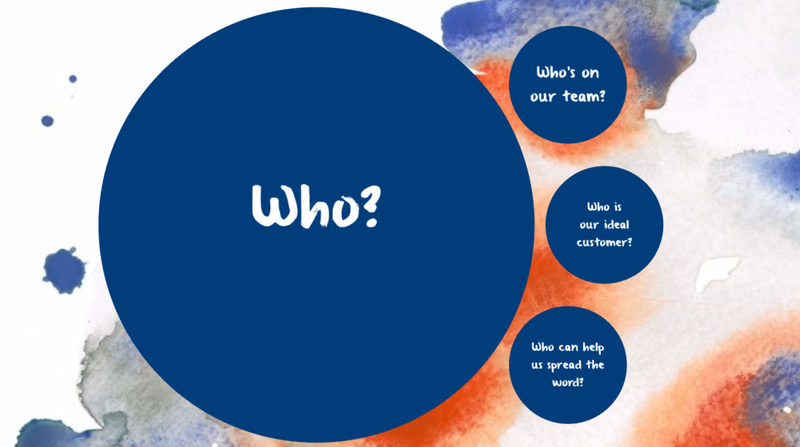 If you want some pointers on how to create a customer profile/buyer persona that will pinpoint your perfect customer, check out this post and download the profile worksheet. Who can help us spread the word? This is where you take stock of your current network, identify the big influencers in the lives of your ideal customers, and consider the communities you can engage. Okay: you’ve figured out who to connect with. Now you need to find them in their favorite places to hang out. Where does our ideal customer go? here do they go on social media? Where do they seek information/recommendations about our product/service? Where do they talk with others about using our product/service? ere’s where you can analyze the best social media platforms to connect with your potential backers and come up with a plan for delivering meaningful content. We’ve established the backstory of your crowdfunding campaign. It’s time to talk about the action items you’ll need to accomplish to achieve your goal. How will we communicate with our potential backers? Think about how you will build your email list and get influencers onboard with helping you. 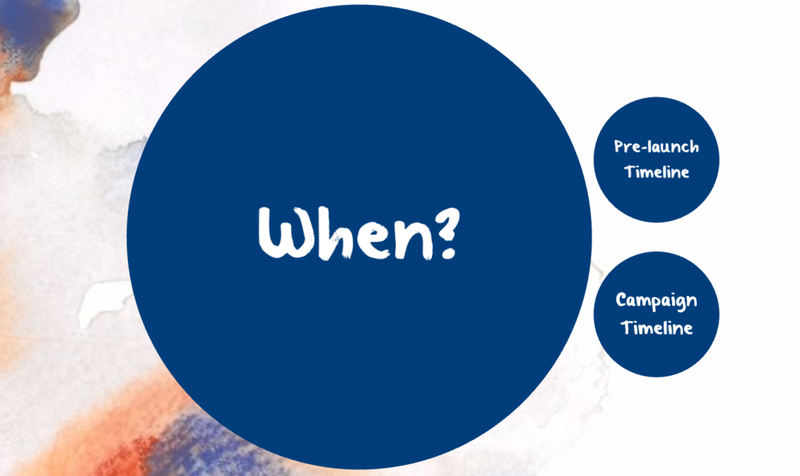 This is also where you plan your email campaigns: how often will you send out emails before, during and after the crowdfunding campaign? How will we reward our backers? Sending your physical product is just the tip of the iceberg in terms of making your backers feel appreciated. You want to offer rewards that are meaningful and exciting to your target backers. I know, the whole point of crowdfunding is a free way for folks without money to ask interested parties to invest money, right? Well…not quite. The most successful crowdfunding campaigns had at least a *little* skin in the game in terms of marketing budget — or at the very least a bunch of super-dedicated volunteers willing to donate their time to putting it all together. If you have big ambitions for raising money, you need to determine actual costs. How will we handle our workflow? Every project needs a process. How are you going to delegate responsibilities, track progress, stay on task, and communicate with your team? There’s no arguing with a calendar: you’re either working toward your goal or you aren’t. Giving yourself a deadline and a timeline makes everything a little more *real*. When will we start our list-building phase? When will we start putting together our campaign content? When will we launch our campaign? When will we start shipping rewards? I recommend my clients begin campaign planning and list-building at least 90 days before their launch. That way they have time to guide potential backers through the stages of awareness. Crowdfunding, like mountain climbing or house-building or community organizing or any project worth doing, is not an easy undertaking, but it can be a tremendous boost to the growth of your business — especially if you’re a business with a mission to give back to the world. The beauty of going through these questions before you begin your crowdfunding campaign? 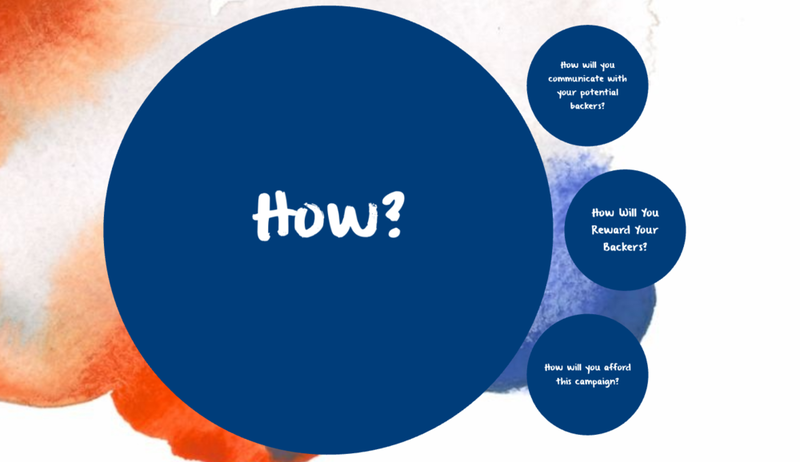 Once you provide the answers, not will you have a fundraising strategy, you’ll also have some answers to fundamental questions that will provide clarity to your entire business journey.